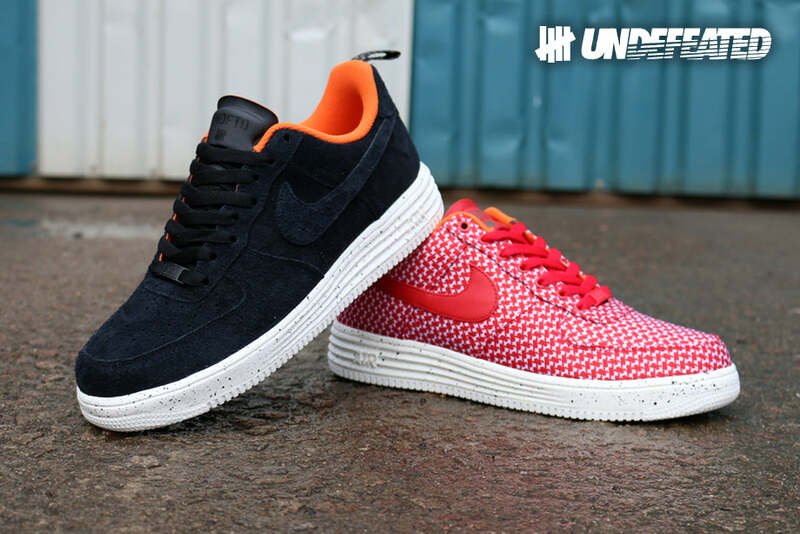 Presenting the UNDFTD x Nike Tier Zero Lunar Force 1 Low Pack for Fall 2014. 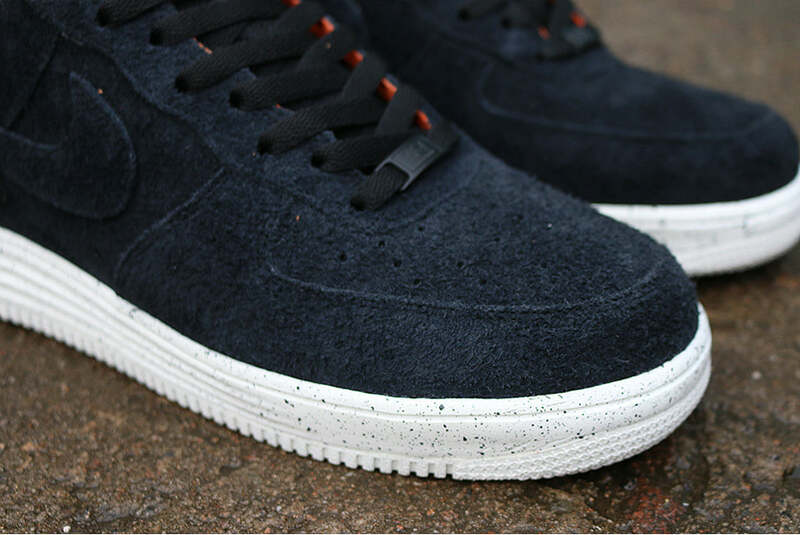 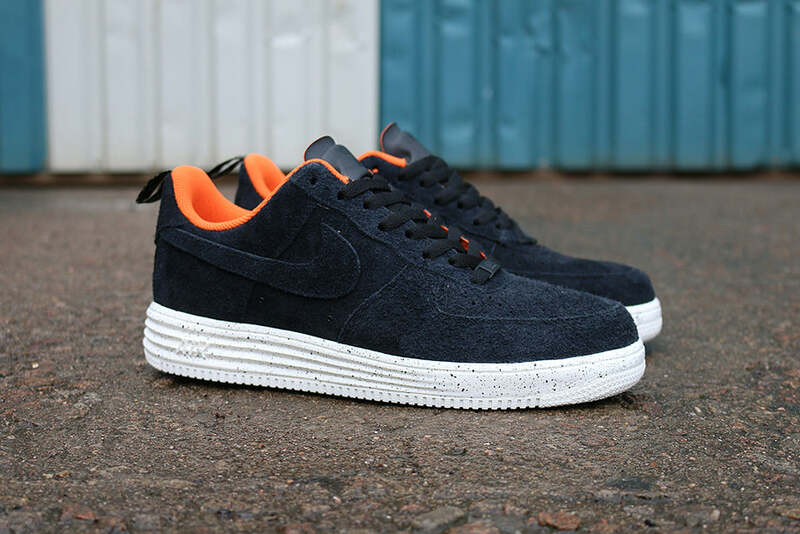 The pack features two versions of the Nike Lunar Force 1, the first of which has a charcoal black suede upper with an orange sock liner and dogtooth print heel pull. 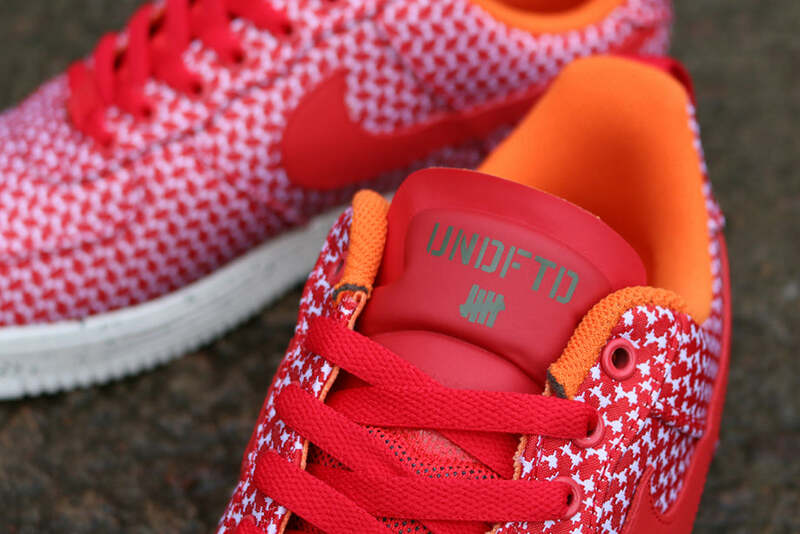 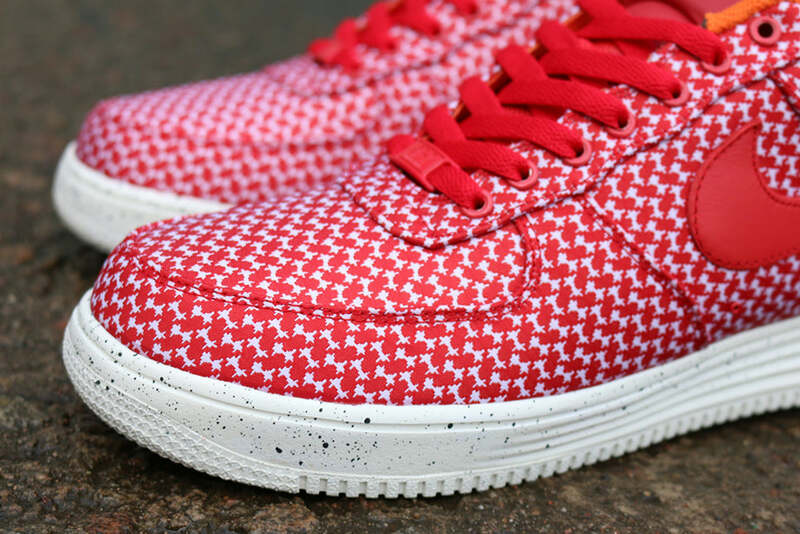 Accented with a UNDFTD branded tongue and speckled Lunar sole unit. 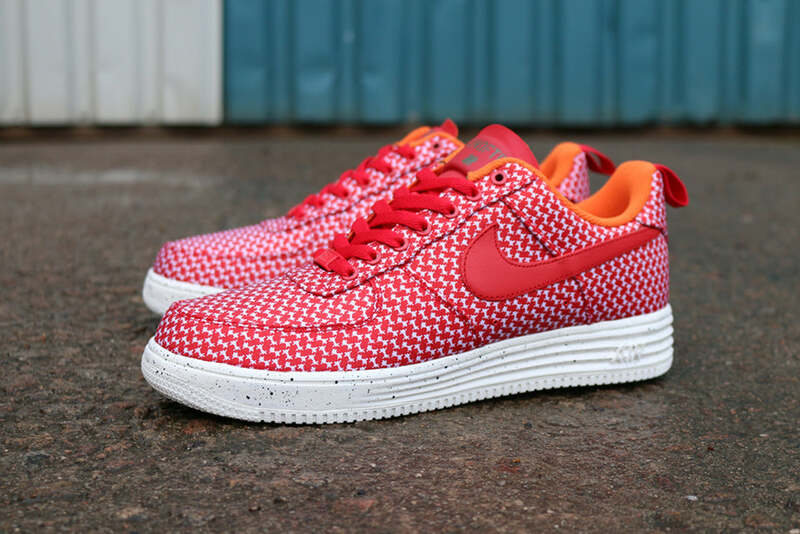 The second in the pack features an all over red dogtooth print fabric with a red leather swoosh and the same orange sock liner and sole unit as its partner. 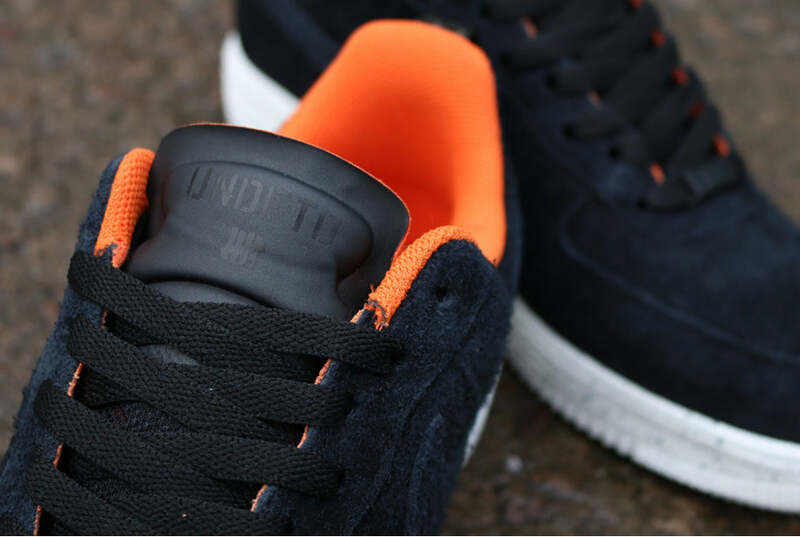 Both shoes are signed off with enamelled lace locks.